JACKSON HOLE, Wyo. – In a year that saw worldwide private jet charter demand make modest but fluctuating gains, U.S.-based leader New Flight Charters reports the most popular aircraft chosen for charter flights in 2011 along with its strong increase in charter flight business. Data is from the company’s 2011 North America charter activity, including 1,105 separate flights with 587 charters, which showed notable increases of 27.2% and 16.9% respectively over prior year results. Light Jets were by far the most popular size chartered, and were almost half (44.6%) of all charters in 2011. In listing the top five most popular light jets, tied for first were the Citation V/Ultra (19.1% of light jets) and the Beechjet 400/Hawker 400XP (19.1%), followed by the Learjet 35 (14.5%), Citation II (11.1%) and Westwind I/II (9.2%). Midsize Jets accounted for 21.1% of charters during 2011. 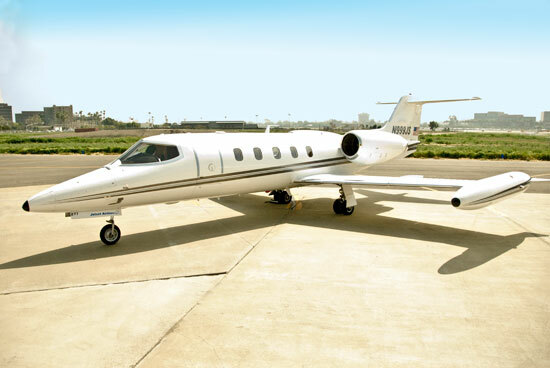 The top five most popular midsize jets were the Hawker 800A at 20.2% followed by the Hawker 800XP (18.5%), Learjet 60 (16.1%), Learjet 55 (15.3%) and the Citation Excel (5.5%). As a make overall, Hawker models combined were chosen for almost half (46.8%) of midsize jet charters. Turboprops were the next most popular category, at 20.1% of all charters. The Beechcraft King Air, by far the most popular type chosen, accounted for 72.0% of turboprop charters. The Pilatus PC-12 was second at 12.7%. 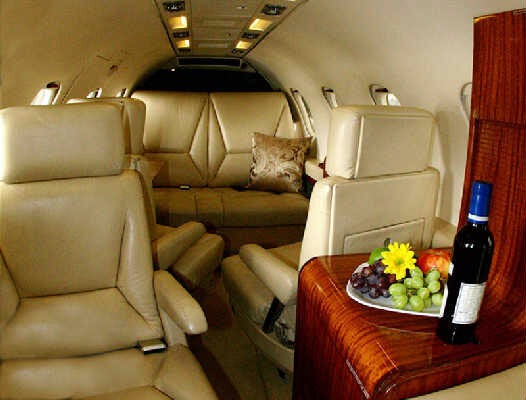 Rounding out the remaining aircraft chosen for charters in 2011 were luxury Large Cabin Jets at a comparably small 5.8%, Piston aircraft at 5.3%, and Super-Midsize jets at 3.1%. More details, analysis and an in-depth article are posted at www.newflightcharters.com. The fastest-growing U.S. jet charter service since 2005, New Flight Charters is an award-winning private jet charter leader nationwide. The company arranges top-rated aircraft and guaranteed best pricing in the market for each and every charter flight with arguably the largest nationwide aircraft and operator selections. Considered one of the top charter teams in the industry, the company is the most recommended charter service in the U.S., from the world’s largest charter marketplace for air charter professionals, CharterX/Avinode. Tomorrow only, Learjet 35 8-passenger light jet is available from Southern California to Jackson Hole for a greatly discounted rate. Santa Ana CA – Jackson Hole, $4,900 plus tax. Can be re-quoted for any departures in the region – California, Arizona, Nevada. Cabin Amenities : Fully Stocked Bar, Snack tray and Catering on Request. New Flight Charters has terrific discounted and empty leg flights upcoming. Please share with friends, clients and visitors; these empty legs represent some of the best deals in private flying! A few highlights are below, the full list to/from JAC is here- http://www.jacksonholejetcharter.com/jackson_hole_jet_charter_empty_legs.html. Full list posted at www.jacksonholejetcharter.com. Click on Jackson Empty Legs.